5 Reason for the "First Look"
1. Bad luck can come their way if they lay eyes on each other. Mainly, because they had the chance to glimpse the future before it happened. 2. The goal of arranged marriages were solely to increase respective families real estate portfolios and lineage, the bride often did not see her groom until the day of their wedding so no cold feet would happen to groom until the deal was done. Both of these reasoning don’t make sense anymore – so let’s kick the old out and embrace the new. 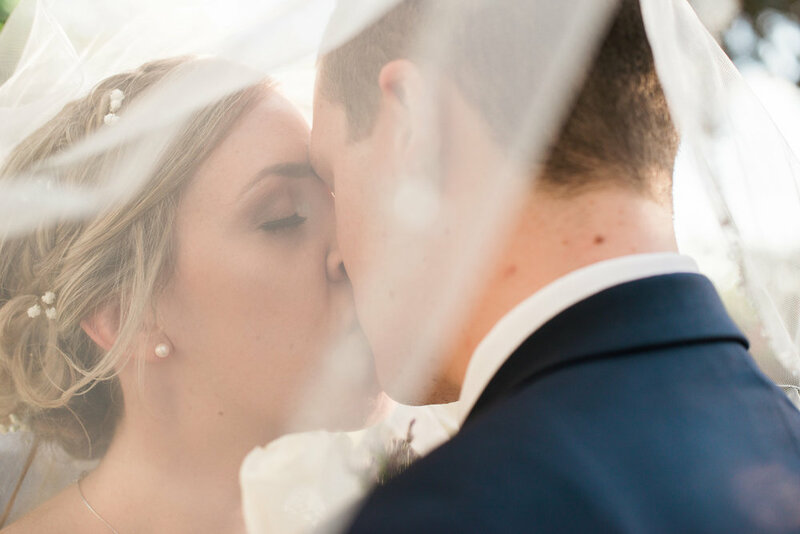 Brides and Grooms feel a definite sense of anticipation leading up to when a couple first lay eyes on each other but wouldn’t you enjoy, and even benefit from, some private moments together before the whirlwind of their wedding day takes over. Hence the concept of the first look! Instead of having your groom wait in room before the ceremony, imagine meeting him in a private place. No one looking, no distractions, just your man standing there waiting for you to walk up and tap his shoulder. He will turn around finally get the First Look at his stunning bride – and mostly likely cry or at least grin from one cheek to the other. Wedding days are stressful, no matter how well planned they are in advance. Getting to spend a moment with your best friend, partner, and your person will give you the ease to not worry. You can relax and clam the butterflies swirling in your stomach. This one of the main reasons we love First Looks! When the bride and groom get to do some of the family, bridal and romantic portraits before the ceremony they get to attend cocktail hour for a while and actually mingle with their guests. If you decide to opt out of cocktail hour you get more time taking your photos and not be rushed! A First Look adds a huge cushion to your timeline and you will get 40% more portraits than couples who opt out. Also, the bride’s make-up will remain intact with a Frist Look. Often times it will need to be touched up after all the crying during the ceremony, which take time and further delaying the night. The First Look is all about the natural light. Most brides like to get married at dusk for the perfect ambiance and look of the sunset. We agree it’s absolutely gorgeous for outside weddings. However, it leaves your photos during cocktail hour will dull light or no natural light. Trust us, the light before the ceremony is prime for taking those stunning photos you see on Pinterest. We recommend getting any photos done before the ceremony to take full advantage of natural light. At the end of the day you should remember – On your wedding day, there are no rules, choose to do what makes you happy!